ZHANGS F,ZENGW D,YANGW H,etal.Ageing response of a Al-Cu-Li 2198 alloy[J].Mater. & Des.,2014,63:368-374. DASHANSUI.Application of orthogonal experimental design and tikhonov regularization method for the identification of parameters in the casting solidification process[J].ActaMetallurgica Sinica,2009,22(1):13-21. 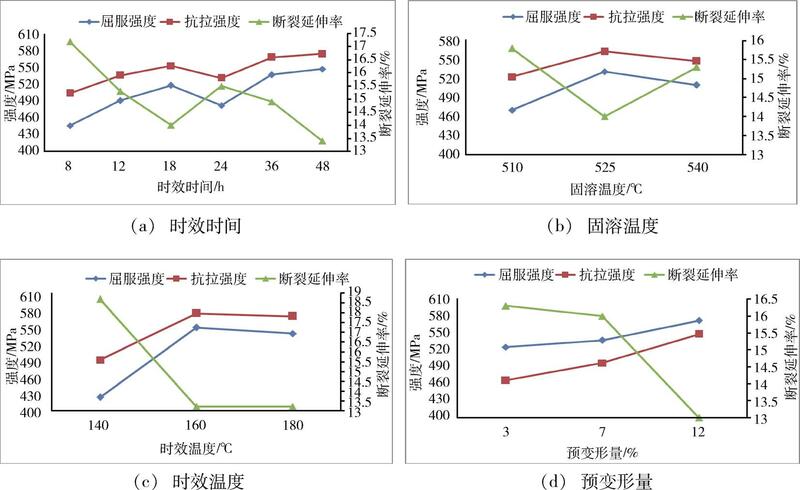 In order to get better thermo-mechanical treatment process of 2050 Al-Li alloy, the orthogonal experiment and range analysis were used to investigate the mechanical properties and structure of 2050 Al-Li alloy under different solution temperature, pre-deformation, aging temperature and aging time. 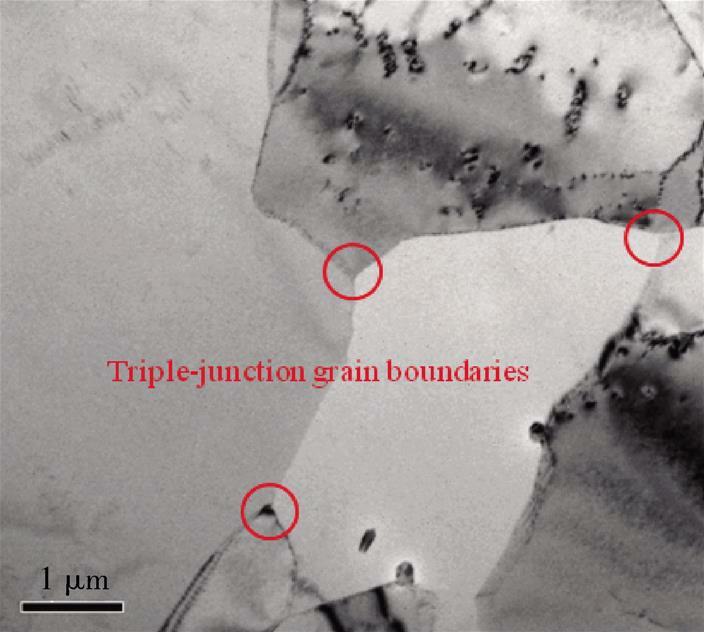 The microstructure of materials under different processes was analyzed by TEM and metallography, and the relationship between the microstructure and mechanical properties was explored.The results show that selecting technological parameters of 525℃ solution temperature, 12% pre-deformation, 160℃ aging temperature and 48 h aging time can obtain better comprehensive mechanical properties. ZHANG S F,ZENG W D,YANG W H,etal.Ageing response of a Al-Cu-Li 2198 alloy[J].Mater. & Des.,2014,63:368-374. DASHAN SUI.Application of orthogonal experimental design and tikhonov regularization method for the identification of parameters in the casting solidification process[J].ActaMetallurgica Sinica,2009,22(1):13-21. ZHU Hongwei,CHEN Yonglai,LIU Chunli.Thermo-Mechanical Treatment Process of 2050 Al-Li Allo y[J].Aerospace Materials & Technology,2019,49(02):46-49,58.